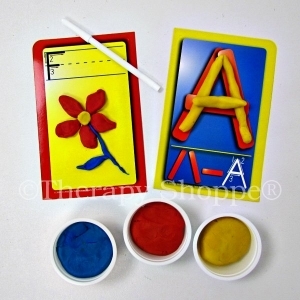 Presenting an irresistible tool for teaching children the correct way to form their uppercase letters! 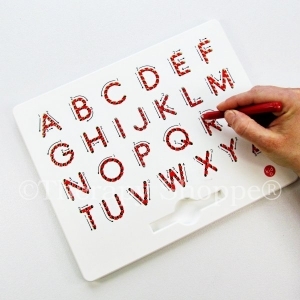 Kids use a pencil-like magnetic stylus to trace over dotted letter characters... tiny metal balls pop up like magic to create the lines; little directionality arrows visually cue how to draw the strokes correctly. 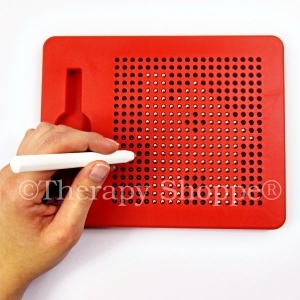 With this extraordinary set the magnetic stylus is their pencil, the bead board is their paper, and their fingertip is the eraser! 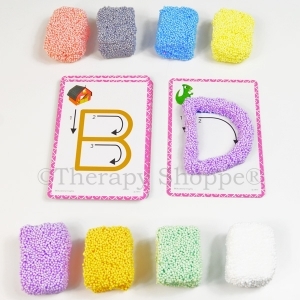 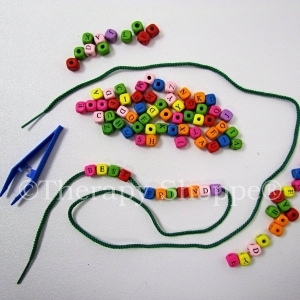 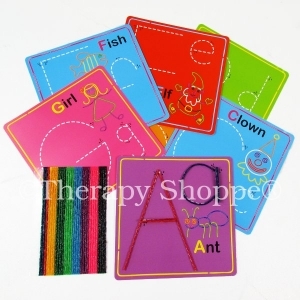 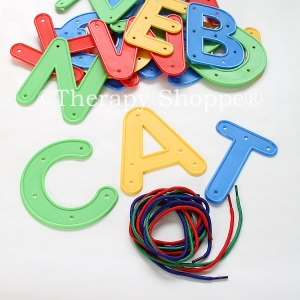 The perfect tool for working on letter recognition and formation at home, in the classroom, or for travel. 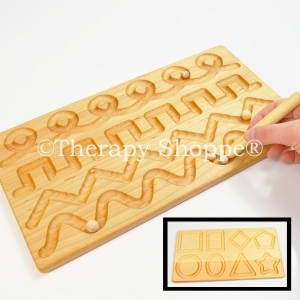 A fun way to learn how to hold writing tools correctly, too! 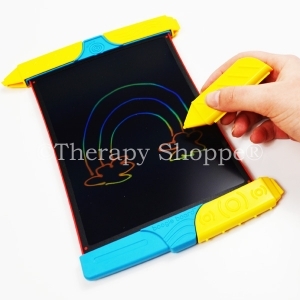 Designed for ages 3-adults.